Want to have a whale of a time this Halloween? 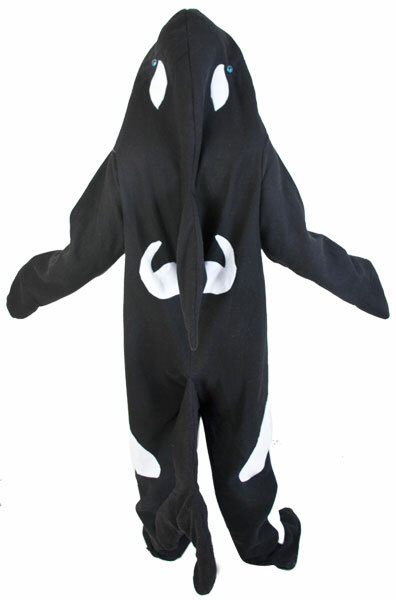 Simply purchase one of our killer whale costumes and watch the good times roll. You can roam the ocean of other Halloween costumes and assert yourself as king (or queen). Surely nobody would be foolish enough to question any domain claim made by a killer whale. They'd be certain to be eaten, if they attempted such a bold move. You'll be a fair costumed whale, however. You would try to avoid eating people at all costs. This whale outfit will come with a number of features: it consists of the main jumpsuit, a headpiece and a tail. Once you put all of these items on, you can do as you please. Swim next to people and watch them cower in fear. Even sharks aren't as gnarly as you are when you transform into a killer whale. One of the most important parts of a whale's respiratory system is the blowhole. Don't worry; you'll have a blowhole. 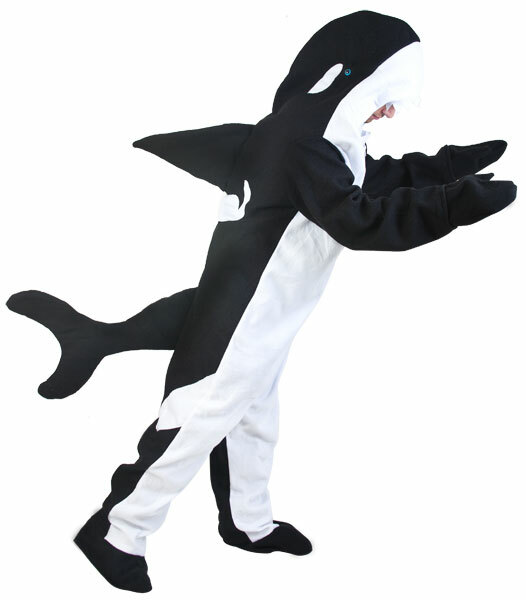 Have a great Halloween dresses as a killer whale.